LATEST SUMMARY FROM THE SCRIPTURE STUDY: Click here, “Luke 9:28-36 – Shut up and listen to him,” to see a short summary of our conversation from last week’s Scripture study around the Transfiguration episode in Luke’s gospel. This reading from Luke was yesterday’s gospel reading for the Second Sunday of Lent. Our Lenten Scripture study will continue this week on Wednesday, 7:30-9pm. Everyone is welcome. EXTRA HELP AT THE MICROFARM: We’ve been a little short-handed at BAM (Black Acres Microfarm) for our weekly and monthly workdays. If you’re looking for a great, outdoor, fun, interesting volunteer gig, consider helping out at BAM. Jade and Lynn have done extraordinary things with their property (olive trees, mango trees, blackberry bushes, bee hives!) and Jade is always willing to pass on what he has learned and help others get started in cultivating a garden or more on their own land. The microfarm provides so much good produce to the people we see, and having a little extra help in its upkeep would be so good right now. The regular weekly workday is Thursday, anytime between 8am and noon. The monthly workday is the fourth Saturday of the month from 9am-noon. This is a great opportunity for families and groups! Email us if you want more info and we’ll put you in touch with Jade. PAPER, NOT PLASTIC: On Saturday, from 1-4pm, the Art for All group will be making paper flowers and paper cranes. The Green House Knitters are now meeting during the same time frame at the house, so bring your knitting or crocheting if you’re interested! SKELETON SCHEDULE NEXT WEEK, MARCH 3-9: During the UF Spring Break, March 3-9, we’ll be on a skeleton schedule, with many of our projects taking the week off. We’ll still be open but make sure to check out the schedule for what is happening (Art for All, Green House Knitters, etc.) and what is not (regular house hours, Breakfast@theGreenHouse and Dorothy’s Cafe). I will also NOT be sending out a “This Week” email next week. We’ll return to our regular schedule on March 10. 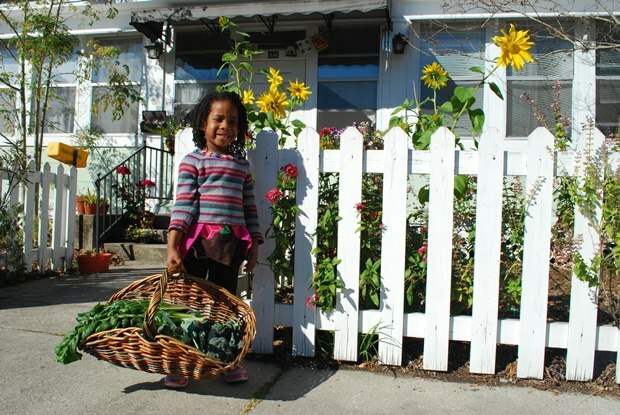 HOUSE NEWS: Monthly microfarm workday on Saturday and Lenten ideas for procrastinators! DIGGING IN THE DIRT: This Saturday, February 23rd will be our monthly workday at Black Acres Microfarm (or BAM). We’ll be on site and can use some extra volunteers between 9am and noon at BAM, in the 400 block of NW 32nd Street (you can’t miss it). If you’ve never been out to BAM, you need to come and see the incredible things Jade and Lynn have done with their property. The food they grow is a main source of the produce that we serve each week at the cafe. So come on out between 9am and noon on Saturday, whether you can give 30 minutes or the full three hours. TEMPTATIONS TO POWER: Our Lenten Scripture study began last week when we looked at the temptation narrative in Luke’s gospel. If you can’t join us but want to follow along on the web, you’ll find a summary of last week’s study by clicking here. We’ll continue our study this week on Wednesday from 7:30-9pm with a look at Luke 9:28-36 if you’re interested in joining us. A special Lenten Scripture study focusing on the Sunday gospel readings throughout the season. We’ll begin this week on Wednesday, February 13, from 7:30-9pm at the house, and meet for the next 6-7 weeks. Just bring your bible. We practice community prayer twice a week at 6am, on Mondays and Thursdays. It is usually a time of quiet contemplation followed by a short reflection/discussion. It is over by 6:30am. On Tuesdays and Thursdays throughout Lent, we’ll offer special reflections on the website. The Thursday reflection will incorporate some of the insights from our Scripture study the previous night. Feel free to visit the site on those days or any time throughou the week and emply those reflections in your own prayer and meditation. Commit to volunteering with us for one of our regular projects for the 6 weeks of Lent. We can still use extra help at each of the breakfasts during the week, at Dorothy’s Cafe, at the microfarm on Thursday mornings, Art for All on Saturday, etc. Even an hour of help at any of those projects is a real benefit for us. Or join us for the monthly microfarm workdays on Saturday, February 23rd and Saturday, March 23rd. SPRING ARTS: On Saturday, from 1-4pm, the Art for All group will be getting a jump on spring by making flowers from fabric, tissue paper and recycled paper. Mary and others will show folks how to use fabric, while Kathy and Elizabeth will have some patterns and ideas for paper flowers. They’ll also have more bottles for people who want to recycle them into vases. And don’t forget! The Green House Knitters are now meeting during the same time frame at the house, so bring your knitting or crocheting if you’re interested! 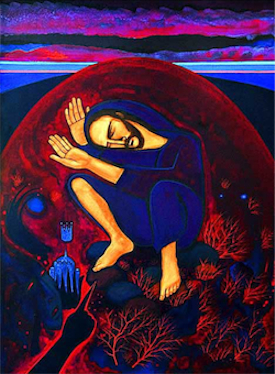 HOUSE NEWS: Some ideas for observing Lent, and more! Also, as a household, we’ll be renewing a practice we undertook several years ago: not using electricity from sundown through sunrise. We did this as our communal Lenten fast, with the original stated intention of lowering our energy consumption. But we found so much more too: gathering together in the early evenings around candlelight or lantern to talk and relax instead of retreating to our rooms and our computers; turning in earlier and getting better a better night’s sleep; finding entertainment that was more communal and engaging, instead of passive entertainment like watching a movie or TV show; sitting outside or taking a walk to catch the last few moments of sunlight; and so forth. If your household undertakes similar “fasts,” we’d love to hear about them! OUR LENTEN SCRIPTURE STUDY: We had a nice response to our idea of holding a Scripture study for Lent this year, with a committed group of about 8-10 of us signing on. We’ll be starting this Wednesday, February 13, from 7:30-9pm at the Green House. Anyone is welcome to join us. Just bring your bible and show up Wednesday. We’ll meet every Wednesday throughout Lent (with the exception of March 6 which falls in the middle of UF’s Spring Break week), and we’ll have a wrap-up session the Wednesday after Lent, April 3. COMMUNITY PRAYER AND POTLUCK THIS SUNDAY: A group of folks, including some of us associated with the GCW, have committed to forming an intentional community. Once-a-month, we gather at various people’s homes, in the spirit of the early church, to pray together and share a meal. The gathering is open to anyone who would like to join us. This month’s prayer and potluck is happening on Sunday, February 17th, from 4-7pm, at Jade and Lynn’s, the Microfarm, located in the 400 block of NW 32nd Street. Everyone is welcome to join us. Bring a dish to share if you can! ART WITH OLD GLASS BOTTLES: On Saturday, from 1-4pm, the Art for All group will be using old glass bottles to make vases when they decoupage tissue paper, ribbon, yarn and paper onto the bottles. Any type of glass bottle can become our inspiration — beer bottles, ice tea bottles, wine bottles. Glass jars can be decorated to create special containers for candy, nuts or whatever you like. In the following weeks, we might make fabric and tissue flowers to put into the vases. Everyone is welcome to come and all supplies are provided. Also, if you’d like to purchase a last-minute special, handmade Valentine’s from the Art for All project for $2, stop by the house anytime this week betwen 1-5pm. GREEN HOUSE KNITTERS ON A NEW DAY: This Monday will be the last Monday evening meeting of the Green House Knitters. Starting later this week, the GH Knitters will start gathering on Saturdays, from 1-4pm, same time as Art for All, beginning Saturday, February 16th. The GH Knitters invite all women to join them, with yarn and needles provided and plenty of help learning to knit if you’re interested. HOUSE NEWS: A special Roundtable with Vickie, and anyone up for a Lenten Bible study? ROUNDTABLE WITH OUR OWN VICKIE MACHADO THIS WEEK! We’re really excited to have our own Vickie Machado as the featured speaker for this month’s Roundtable. The theme will be “The Catholic Worker Movement and Bioregionalism” and the Roundtable takes place on Thursday at 6:30pm until 8pm. Vickie has been a community member for the past two years, and a part of the extended community of the GCW for much longer than that! She is a MA student in Religion and Nature at UF and has been presenting on various aspects of Catholic Worker thought and practice at conferences, etc. for the past few years. For this Roundtable, she’ll be presenting a version of her thesis, which she is set to present and defend to her committee in early March. Here is a blurb on the thesis: “The purpose of my thesis is to understand the sustainability of the Catholic Worker movement today with regards to bioregionalism. While the main foundations of the movement are important to its success, the sustainability of Catholic Worker houses and communities does not solely come from its principal groundwork, but rather, as I suggest, from how these concepts are continually and accordingly implemented with careful regard to both time and location. I find that current Catholic Workers have sustained themselves over the years due to their adaptability and fluidness. Rather than adopting the same model in every location, each house and community fills its own niche for the region in which it operates.” So come listen to and support Vickie this Thursday! And don’t forget to bring a dish to share if you can! THANKS FOR HELPING FILL VOLUNTEER SLOTS (MORE STILL AVAILABLE THOUGH! ): We’re so grateful for the response to our plea for some new regular volunteers who could commit to weekly slots. We have filled all three of the four breakfast slots with at least one extra volunteer, but still are looking for someone to help out on Thursday mornings between 7-9. Let us know if you’re interested. And we can still use another extra person for any of the other breakfast slots–the more the merrier! For the cafe, we got 2 new weekly volunteers for the afternoon, but we could still use at least one extra for the morning, between 10 and noon. And as usual, we can always fit in an extra pair of hands at any time during the cafe! SCRIPTURE STUDY FOR LENT? We’re thinking of starting up a Scripture study for Lent this year and we’re interested in hearing if this might be something others would like to commit to and join us for. John would lead a study of the gospel readings throughout the Lenten season, each Wednesday evening, from 7:30 until around 9. If you’re up for this as a Lenten practice for yourself, email us and let us know. If we get a committed group of 6-8 folks, we’ll start next Wednesday, February 13th. Email us at gvillecw@yahoo.com. ART FOR ALL VALENTINES: Art for All folks continue to design and make beautiful Valentines each Saturday. The card-making and other crafts associated with Valentine’s Day will continue this Saturday from 1-4pm. If you’d like to purchase a special, handmade Valentine’s from the Art for All project for $2, stop by the house anytime this week betwen 1-5pm. Click here for a photo of some of what they’re designing. As we mentioned in a previous post, we published the latest edition of our newsletter, Conspire, last week and we now have copies available at the house. You can also see a PDF version online by clicking here. Hope to see many of you this week! Warm the heart of someone special! Valentines for sale at the Green House, $2 each. Stop by Monday-Saturday, 1-5, or email us and we can mail one to you – gvillecw@yahoo.com!